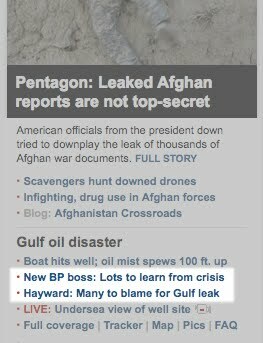 Whereas the universally despised former BP CEO Tony Hayward insists "many to blame," the new boss Bob Dudley says there's "lots to learn." What a contrast. I know headlines can be deceptive, but seeing this juxtaposition pretty much sums up the point for me: Leadership is all about the attitude we bring to life's ups and downs.